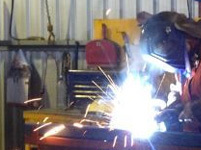 Safe Environments offers an efficient and thorough service, delivering reports and certification with rapid turnarounds. Our team can also provide other testing, certification and advice including asbestos awareness and management, noise and audiometric testing and inspections for air pollutants, dust and chemicals in the workplace. Contact us now to arrange your consultation with an experienced Safe Environments consultant. What are the Australian Standards for slip resistance? There are a number of national, state-based and even council-based slip resistance requirements in place to manage floor safety in residential, commercial and public spaces. These include requirements within the National Construction Codes, Disability Access Requirements, Workplace Health and Safety legislation,plus certain product standards such as ceramic tiling. There are a number of Australian Standards and Handbooks which provide best practice in specifying and maintaining the slip resistance of floor surfaces and performance requirements for a number of situations. For specific information you can read more or contact our team to talk with an experienced slip resistance testing consultant. What slip resistance test do you conduct? 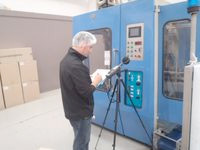 We have also developed accelerated wear testing which is now an industry standard to assess the propensity for a surface to reduce in slip resistance. For more information please read more . How do I know which slip resistance test I need? 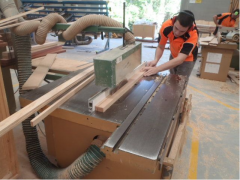 Safe Environments can advise on what testing is required for your products and materials to ensure they meet the National Construction Codes and relevant Australian Standards. For an overview on assessing which is the most appropriate test, please refer here . What is an R rating andwhat is a P rating? What’s the difference between the two? The different slip ratings refer to surface characteristics in distinct conditions, and do not directly correlate with one another. The R rating is provided when classifying a surface using the oil wet inclining platform test to AS 4586 Appendix D, and the P rating is provided when classifying a surface using the wet pendulum test method to AS 4586 Appendix A. The classifications are used in conjunction with Handbooks from Standards Australia to specify adequate slip resistance for a floor surface. Do you conduct wet and dry testing onsite? How much does slip testing cost? To arrange a quote for your organisation’s individual needs, please contact our team . How long will slip testing take? The time required for slip resistance testing and assessment varies depending on the specifics of each project size, type and location. Safe Environments works efficiently and can provide same day service for simple wet and dry slip testing to AS 4586 Appendix A & B. Please contact the team at Safe Environments for further information on sampling requirements.